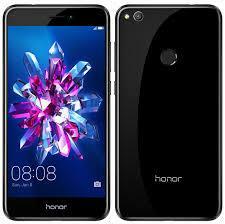 Honor 8 Lite Reviews, Specification, Best deals, Price and Coupons. Honor 8 Lite has already been made available in Finland and is being launched in India. We present a concise review on the specifications and features of this upcoming device. Honor 8 Lite looks much like the big brother Honor 8. Available in Blue and Black color options, the device looks strikingly attractive. Buildwise, it comes with a 2.5D curved glass both on front and rear. A metal frame runs all around giving it a resemblance to Samsung devices. There have been a few changes as compared to the Honor 8. Some such differences include a single camera on the rear instead of two observed on Honor 8. Finger print sensor on Honor 8 worked as a physical button as well on Honor 8 which is not the case with the Lite variant. The phone is powered by in House Kirin 655 SoC. You have access to a 5.2 inch full HD display. The colors appear vibrant and sharper. Even the outdoor legibility is right on the dot. Honor 8 Lite comes with a 64 GB internal storage and a whopping 4 GB RAM. You can expand the memory further by another 128 GB, but the phone uses a hybrid SIM slot. That would mean you need to make a choice between an expandable storage and dual SIM compatibility. It is one of the rare devices running on Android Nougat 7.0. Customised by Huawei's EMUI 5.0, the display has a Eye Comfort Mode to ease the strain on your eyes while using the phone low light. The UI works smoothly through the operations. On the imaging front, you get a 12 MP camera on the rear with f/2.2 aperture and autofocus. For the selfie lovers, it packs in a 8 MP camera on the front. The camera supports Pro modes. You have access to a 3000 mAh battery capacity onboard. It should let you work with the device all through the day with moderate usage. The phone is going on sale through online retailers from May 12, 2017. Write reviews about Honor 8 Lite and make money! Add photos of Honor 8 Lite and make money!